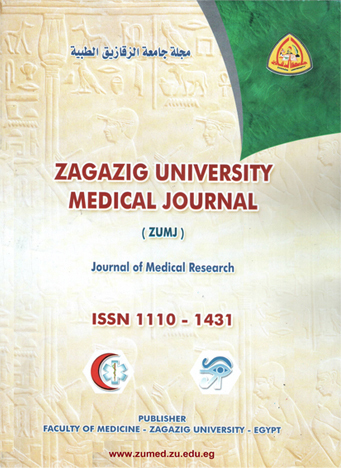 Vascular surgery Unit, Faculty of Medicine, Zagazig University. Objectives: To assess the efficacy and safety of ultrasound guided foam sclerotherapy (UGFS) with a long saphenous trunk reflux. Methods: One hundred and seventy cases with primary long saphenous (LSV) trunk reflux underwent foam sclerotherapy. Patients were evaluated using Venous Clinical Severity Score (VCSS) and duplex ultrasound pre procedure, 2 weeks and 6 months following the procedure. Complications were detected and recorded 2 weeks and 6 months following the procedure. Results: Between (September 2010 and December 2011). One hundred and seventy patients with (LSV) trunk reflux underwent foam sclerotherapy 102 females (60%), 68 males (40%). The mean age of patients was 38.8 years, SD (11.35). Two weeks after the first treatment session, the success rate was 93.5%. The failure rate was 6.5%. The complications detected in 23 cases 2 weeks after the first treatment session and included thrombophlebitis in 8 cases, DVT in 3 cases and pain in 12 cases. Six months after the first treatment session, the success rate was 88%. The failure rate was 12%. The complication detected 6 month after the first treatment session was skin staining in 19cases. Conclusion: UGFS is a safe and effective method of treating long saphenous trunk reflux.